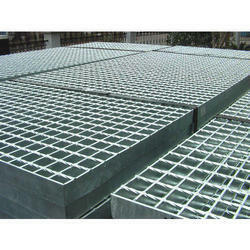 We are a leading Manufacturer of gi grating and railing from Pune, India. Grating Sample Model facilityoffered by us allows prospective customers to judge the capabilities we have in the field of grating manufacturing. Here, our rich industry experience also allows us to match up with the exact design and finish demands of the customers. Highly appreciated for non-corrosive as well as non-skid finish, these find high usage in different areas like usage in residential areas, commercial areas as well as in industrial areas. Further, another advantage these gratings provide is that these can be transported in sections and then at installation points these can be quickly assembled, thus bringing remarkable reduction in erection time. We bring forth vast industrial matching up with the exact requirements of customers, we are involved in presenting a wide array of Railing.